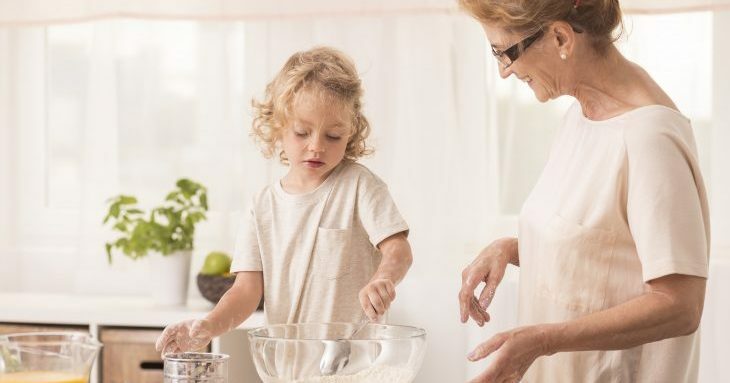 Home » What are the Differences Between a Nanny and a Babysitter? What are the Differences Between a Nanny and a Babysitter? It is an age old question that is sometimes really hard to answer, who is going to watch my kids while I am at work or if I got out with friends? Some parents think that a nanny is the best choice, while others prefer to hire a babysitter. Since there is a pretty big difference between a nanny and a babysitter, it is best to look at your unique needs carefully. In this article, we’ll dive into those differences to try to help you make the right choice for you and your family. Generally speaking, a babysitter can be anyone willing to watch your kids. It could be your neighbor, your parents, or a helpful teenager looking for some extra income. A babysitter works best for short spans of time. A babysitter will only work on an as-needed basis, so you only pay them when you need them. Since they can be anyone you feel comfortable with hiring, they will usually be cheaper than a nanny because this is not their full-time job. Because they work on an as-needed basis, a babysitter is easier to hire in a quick manner when you are in need of help in a pinch. Since they are only doing this part-time, a babysitter will most likely be less qualified than a nanny in their knowledge of child development and first aid. Since they will not be working for you exclusively, you may not be able to get your first choice for a babysitter each time you need one. They may be working for someone else. A nanny is a full-time caretaker who you have hired to work for you to watch your children on a daily basis. They are usually trained in childhood development, first aid, and educational techniques. An individual who is seeking employment as a nanny, will either be working on their own or through an agency. To be made more attractive, prospective nannies need to complete various educational courses. Since they will work exclusively with your family each day, you never need to worry about who will be watching your kids. Their schedule will match your schedule. A nanny, because of their extensive training, will be more expensive than a babysitter. Hiring a nanny is a large commitment and cannot be used only once in awhile, but must be utilized on a majority of days. When Should You Hire A Babysitter? You should look to hire a babysitter if you will only occasionally need someone to watch your children. If you have to stay late at work one night, or you and your partner want to go out together, a babysitter will work out perfectly for you! When Should You Hire a Nanny? If you are looking for someone to watch your children during the day on a daily basis, then a nanny would work best for your needs. You can expect to pay a full-time nanny about $700 per week. The national average for babysitting services is about $16 an hour if you go with a service. If you hire someone on your own, you can set the pay rate..
A bachelor’s or associate’s degree. CPR and First Aid training, as well. There are no qualifications required to be a babysitter. A nanny will usually be hired for an extended period, which may stretch out for years. Babysitters are often hired on an as-needed basis, usually for only one day/night at a time. There are plenty of questions that you might want to ask a nanny or babysitter, and this video can point you in the right direction. These are just a few suggestions for interview topics, but be sure to ask any, and all questions that you feel are pertinent to your decision-making process. Picking someone to watch your children is an important job, and you don't want to enter into a relationship without having all of your questions answered. So there you have it! Both a nanny and a babysitter can be a great option if you are looking for someone to watch your kids. Just be sure to think carefully about your care situation so that you get the kind of help you need. Good luck!